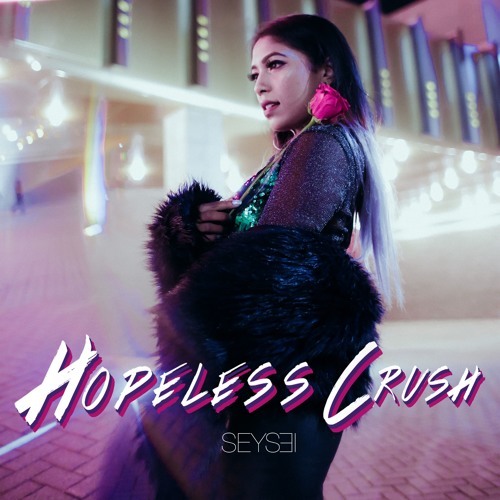 Texas-based Indian Pop singer and songwriter Seysei has just unveiled her brand new single Hopeless Crush, just in time for your Valentine's Day playlists. I am really enjoying her vocals and how they flow effortlessly over the energetic and upbeat production. The intro's acoustic guitar strums caught my attention being then joined by Seysei's airy vocals. The track then slowly builds into an infectious electro-pop gem with a rhythmic base, cool synth lines and lovely string section. Hopeless Crush perfectly blends organic instrumental with catchy EDM sounds to create an upbeat love song about having butterflies in your stomach whenever you see your crush. Stream this cool gem below! I always thought my life was a Bollywood movie” she says. In the past, she has wooed boys with hand written love letters. “I'll go full out to get a crush's attention” because romance is the sign of appreciation that “keeps the fire burning between two people that love each other.” Hopeless Crush celebrates pure, intimate, and wildly fun love. Love that should be treasured and nurtured with romance and song.